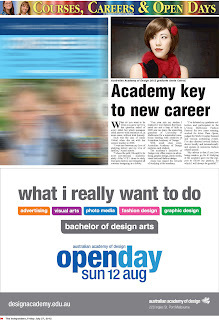 I had my moment in the spotlight on Friday July 27- a page in the Geelong Independent newspaper speaking about my experience at the Academy. Special thanks to Samantha Ee for her photo! My dear, ridiculously talented friend Siera kindly volunteered to model one of my Stardust garments. Based on Lady Una and the Romani from Assassin's Creed, The Gypsy is carefree and passionate, with a bit of sass. Last Friday it finally happened- the Fashion Capitals of the World runway, held at Melbourne Central. This project started last year and it was a great relief to see all our hard work in motion! Before the garments even reached the runway, there was the hard task of transforming 2D sketches and patterns to 3D mockups. Not everything works out the way you planned first time around! As you can see, the back was too small and the shoulders didn't sit properly- also the cuffs were too wide. Luckily the skirt part of the dress was perfect! None of the fabric stores carried coloured frog closures, so being the resourceful cosplayer I am, I mixed art inks and gold fabric paint to custom dye them. Second time around, everything worked perfectly! Before I show the finished garment, have a few more 'behind-the-scenes' images! My beloved spine heels arrived on the morning of the runway. Here it is! Ana K wearing my Eastern Opera gown. It was a wonderful runway and seeing work from the European design schools really humbled me. To have been a part of such a project well and truly hit home when my work was displayed alongside Parisian couturiers studying under Madeleine Vionnet's teachings and a graduate student's Master's collection from Milan. It was an unforgettable night and one I'm so very proud of, not only of my work but also the work of my fellow Academy students too! A quick post just to show off the lovely fabrics I've purchased for my Eastern Opera project! Beautiful Japanese silk from a handsewn koto cover! The silk chiffon I found at Tessuti, and it is the loveliest, softest whisp-of-a-fabric I have ever held. Turns out it’s from Dolce & Gabbana and that would explain the ridiculous price I paid for it per metre! The logbook of fledging designer Annie and her endeavours for her label "Et in Archadia" to take flight. Full profile here.